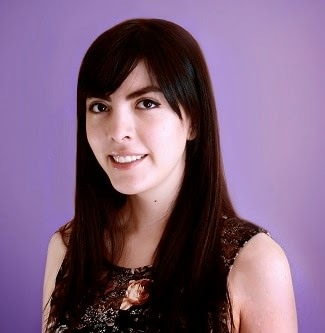 María Escobedo Cubas, Author of Why is the moon following us? 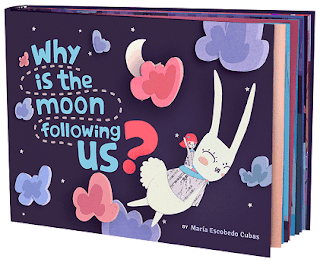 Today we are interviewing María Escobedo Cubas, author of the children's book Why is the moon following us? I hold a B.A. degree in Digital Animation from Véritas University and I´m the author of the children's book Why is the moon following us?. I have participated in several drawing/picture/illustration exhibitions in Costa Rica. At this time, I am in Japan, improving my professional experience and developing a completely new style of illustration through deep exploration and exposure to new styles and cultures. One of my most important projects to date is an interactive app called "Why is the moon following us? ", which was, at first, my graduation project at Véritas University in Costa Rica. Completing the project took about a full year of research in terms of educational and aesthetic aspects. This app is an educational game for tablets that combines elements of children's illustration, animation and interactivity. Considering my experiences with this initial project, which included intense exploration and firsthand contact with some of the most important illustrators of the country, I decided to recreate this graduation project in a book that gives children the opportunity to learn while they have fun playing. This is how the adventure begins of creating the children's book Why is the moon following us?. Lucy is a curious and joyful girl. Alongside her faithful friend Lulo, her magic rabbit, what seemed to be a simple trip to grandma’s house will become a unique adventure, a journey of perseverance to find her own answers. Will Lucy solve the mystery of why the moon is following them? The debut book of illustrator Maria Escobedo creates a world full of tenderness and magic, with an amazing story and exceptional art. The innocence of her stories and illustrations make this an indispensable book for the enjoyment of our children. Who do you think would most appreciate Why is the moon following us? Well it is a family book to share with our children, so I wish both the kids and the parents will enjoy it a lot. Tell us about the protagonists, Lucy and Lulo. Lucy is a clever, little girl who wants to know everything about the world, especially something that she noticed during her travel. Lulo is her small and loyal friend, a magical rabbit with hidden skills, one day she discovers something no one else saw. What did you want to accomplish with the illustrations in your book? To show, in part, how the world can be seen by our children. I also tried to create a unique style for my illustrations, something created to be appealing for kids. Do you think of the story’s plot first? Or do the illustrations come first? The story was first. It was a graduation project at first, and then I retook the story time later to recreate it as a completely new project, with new illustrations and everything new. Well right now, I have This is Tokyo (or Esto es Tokyo), another projects which is completely different. Gabriel Delgado and I post every week a video showing what it is to live in Japan, a beautiful and unique city. Here are another links to the author and her new project. Find out more about Why is the moon following us?